Is Sony developing a Courier lookalike? The Microsoft Courier might be dead at Microsoft, but Sony just filed a patent that describes almost the exact same thing — but better. 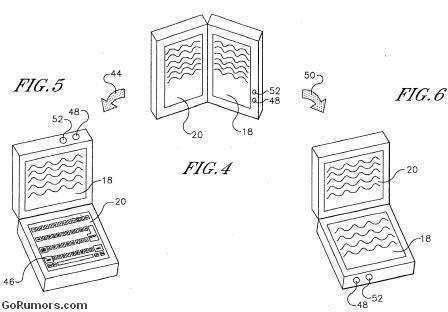 The device would feature two two touchscreens in a notebook arrangement. An accelerometer would identify the physical orientation and rotate the screens to a different layout. Hold it like a book and the two screens would rotate vertically. Open it up like a laptop with the screens in a horizontal layout and the bottom screen would only show a keyboard while the top screen would display the OS. Not much else mentioned in the patient besides the device would also house GPS. Let’s not get our hopes up as companies constantly file patents for different devices, only to never actually it. But still, Sony seems like the right fit for a Courier-like device. Yeah, it would be overpriced and likely watered-down by over-development, but it could also be the hit that kicks Sony’s brand perception into cool and hip.